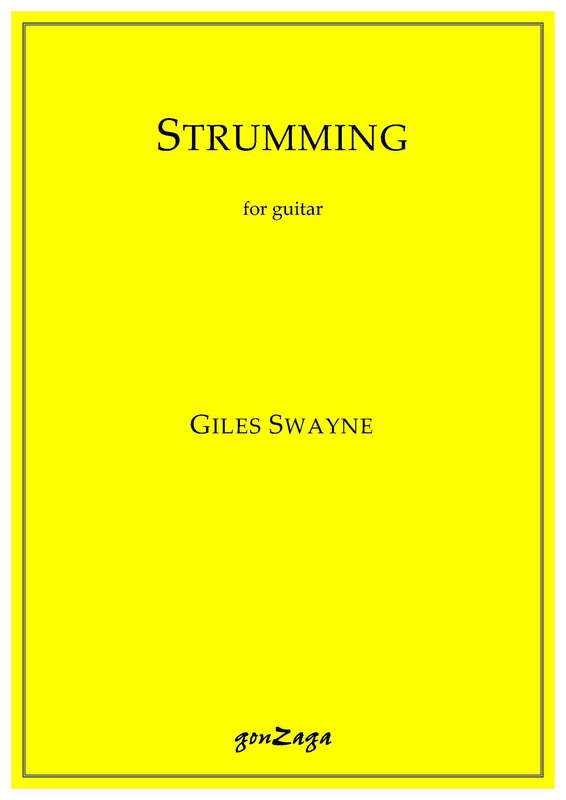 Strumming is a passacaglia with seven variations. of which the last five become the Serenade of the subtitle. This is subverted by four banjo-like interruptions, and the piece closes with a reprise of the passacaglia theme. Commissioned by the Tunbridge Wells International Music Festival, with funds provided by Gerry Mattock and Beryl Calver-Jones, Strumming was premiered by Craig Ogden on October 20th 2012 at the church of St. John the Baptist, Penshurst.